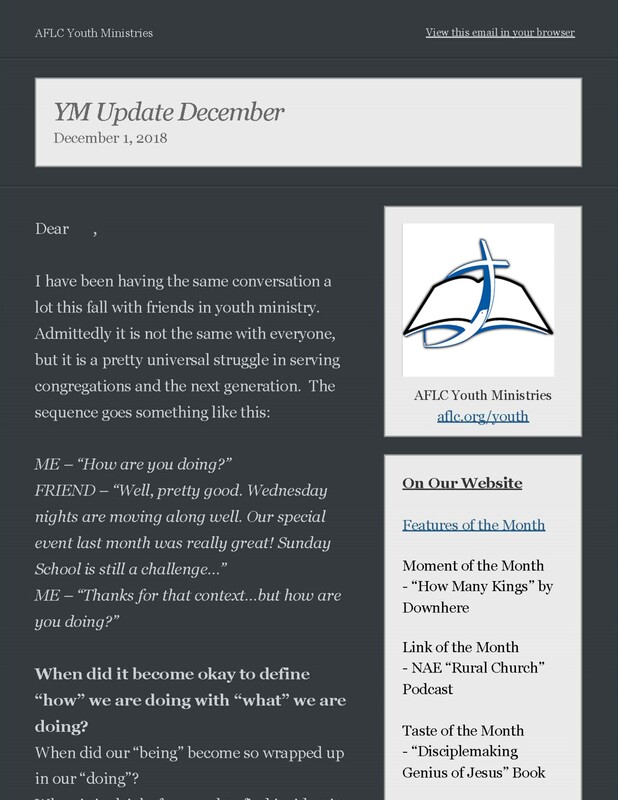 The Connection is an AFLC Youth Ministries Newsletter for Youth. 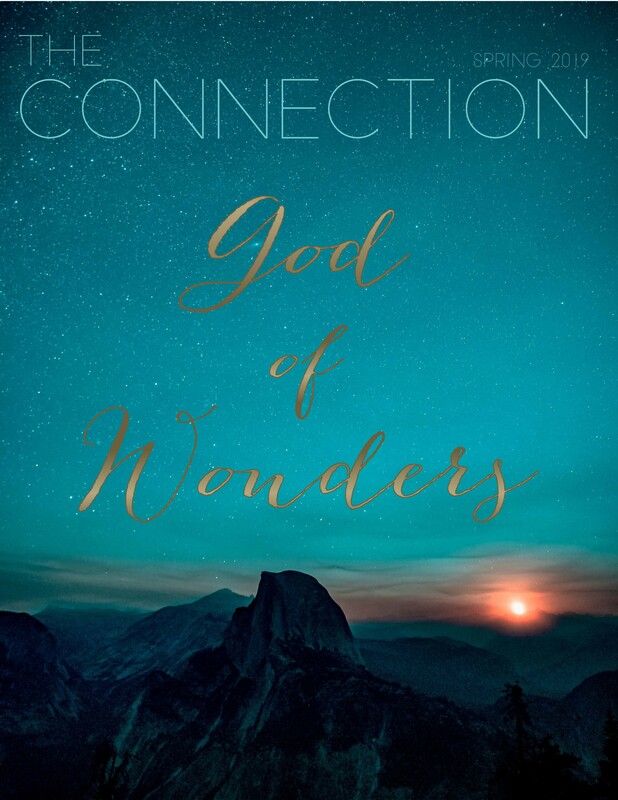 The Connection is published twice a year to encourage and engage youth and youth groups of the Association of Free Lutheran Congregations across the nation in their walk with Jesus Christ. To view the latest issue, click the image above. 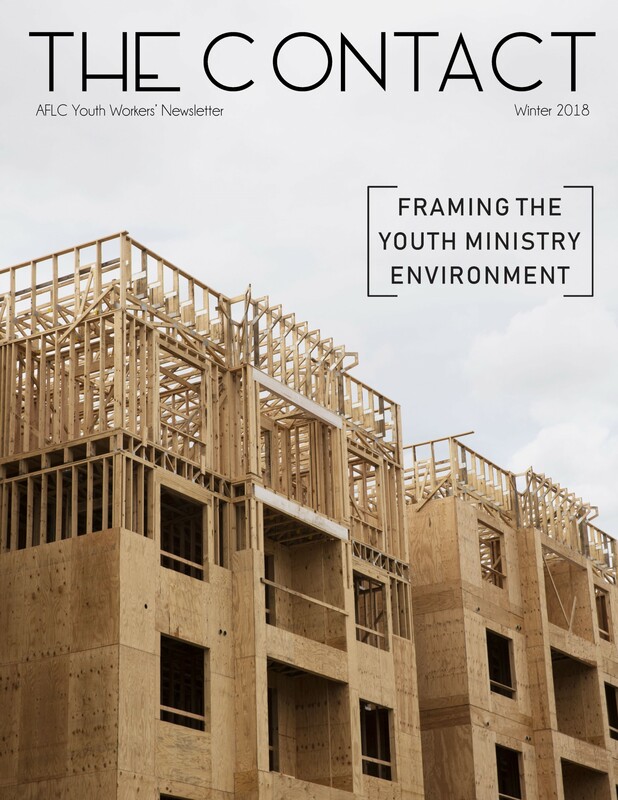 The Contact is an AFLC Youth Ministries Newletter for Youth Workers. The Contact is published twice a year to encourage and uplift youth workers of the Association of Free Lutheran Congregations across the nation in their relationship with Jesus Christ. The YM Update is sent out to Youth Workers via email, at the beginning of each month. It includes an encouraging devotional, prayer praises & requests, upcoming events, etc. To view the latest YM Update and subscribe to the mailing list, click the image above. issues of each of our newsletters.